We are calling for nominations for the next Who Am I As A Leader? workshop for 31st May to 2nd June 2019 to be held in Sydney, New South Wales. 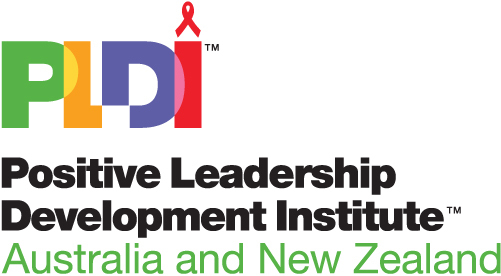 The Positive Leadership Development Institute (PLDI) Australia and New Zealand offers people living with HIV (PLHIV) an opportunity to identify and develop their leadership and resilience skills. • We believe that strong leaders create stronger communities. • We inspire leadership for the future. The PLDI program aims to create a network of informed and empowered PLHIV who will participate in and influence their local communities. The PLDI exists with the purpose of supporting people who are living with HIV to realise their leadership potential and increase their capacity to participate meaningfully in community life. This unique leadership workshop is run by and for people living with HIV. The course is constructed to have a maximum participation of 12 people plus 3 facilitators and runs over a weekend - Friday evening, all day Saturday (including the evening) and Sunday. 1. The Institute has many more applications than available spots in each course (max. 12 people per workshop). Please understand that applications are assessed upon ensuring maximum diversity of participation in each course and not all PLHIV that apply will necessarily get into this course. If you have any questions about the course or the application process, please do not hesitate to contact pldi@pldiaustralia.org.au for more information. 2. There are limited scholarships to assist people selected to cover course fees and any travel required. At the end of this survey is an opportunity to indicate to us what financial assistance you require.